This lovely middle aged female from Toronto had undergone two rhinoplasty surgeries within a year by the same surgeon. Just her bridge had been operated on and no tip work had ever been done. She disliked the over projected nasal tip and the droopy columella. 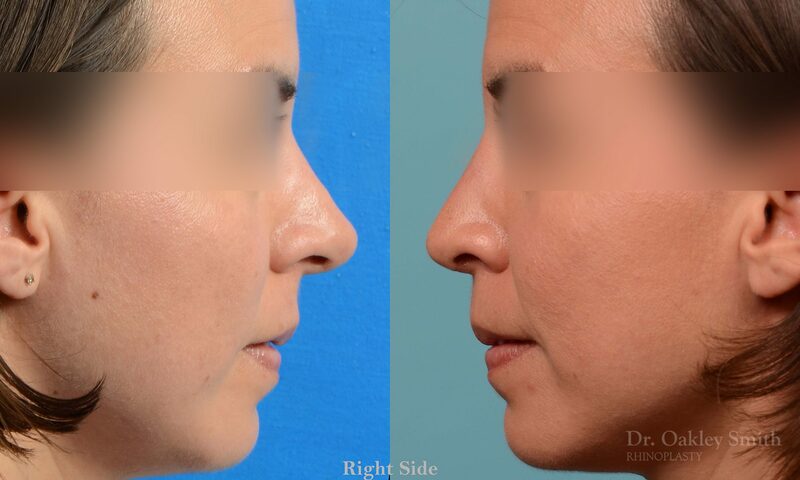 An open approach revision rhinoplasty allowed for a four millimeter de-projection of her tip along with smoothing out her tip irregularities and the subtle ridge on her profile. 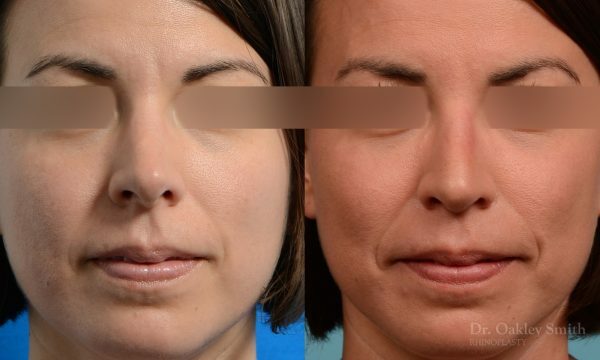 Performing her revision closed by going through her nostrils and not cutting her columella made the surgery considerably more difficult with a lower success rate. 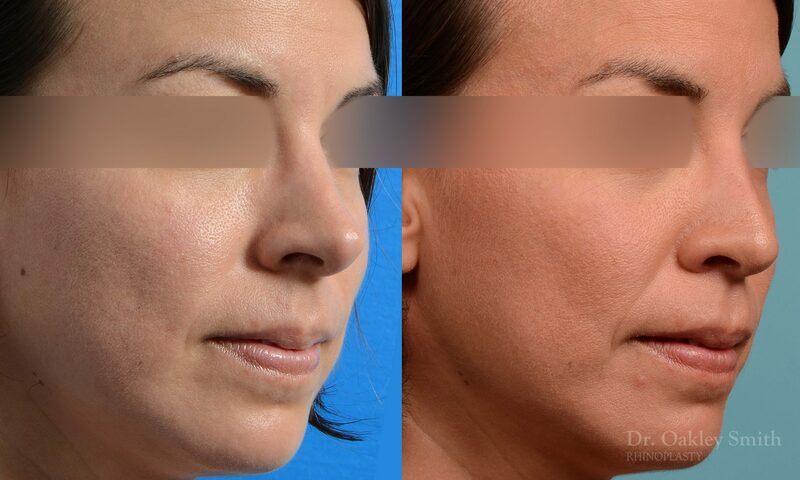 The risk of a 1-2% chance of a noticeable scar is well worth the benefits of a marked improvement in successfully obtaining the desired outcome. By making the nose less prominent, people’s attention turns to the other facial features resulting in a more attractive overall appearance. The nose recedes to allow the eyes and lips to be more noticeable. 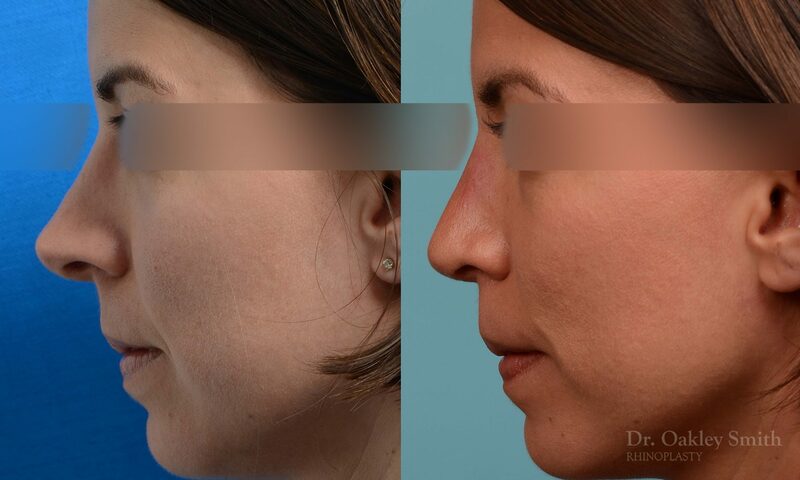 People don’t use the nose to recognize each other, which explains the very common observation after surgery that nobody noticed! 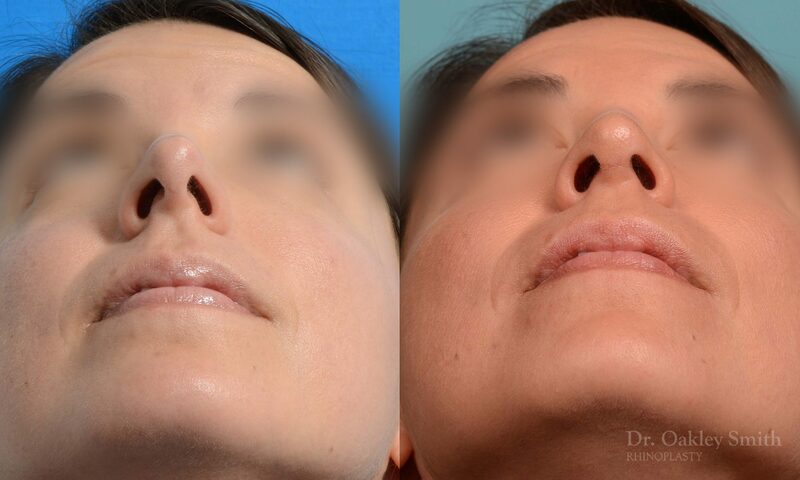 Friends and family did notice the patient looked better, but very seldom do they recognize there has been nasal surgery. 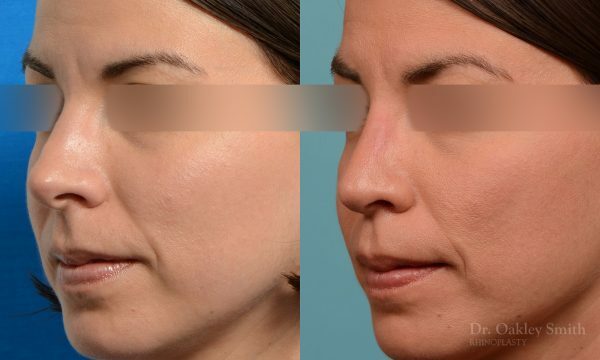 This results in the best of both world; the patient looks more attractive, yet the nose job isn’t exposed. Dr Oakley Smith will go month after month before a patient comments someone guessed correctly.